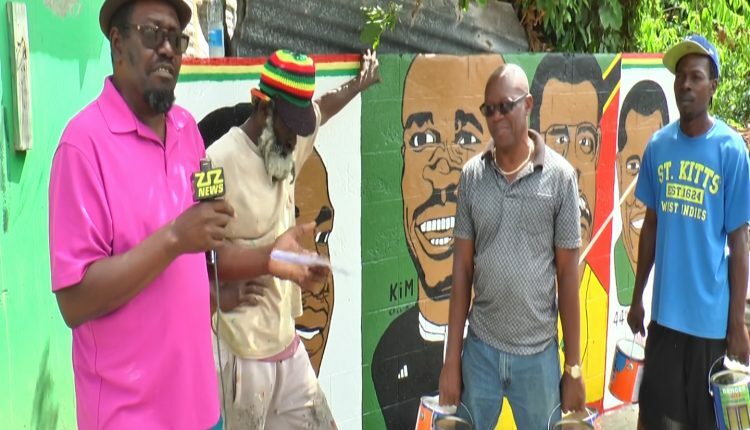 On Wednesday morning, well-known businessman Mr. Robelto “Tango” Glasgow and Owner of Island Purified Water, Leroy Powell surprised Livingston “2-Bal” Bath while he was in the midst of repainting murals in the West Bourne Ghaut region. 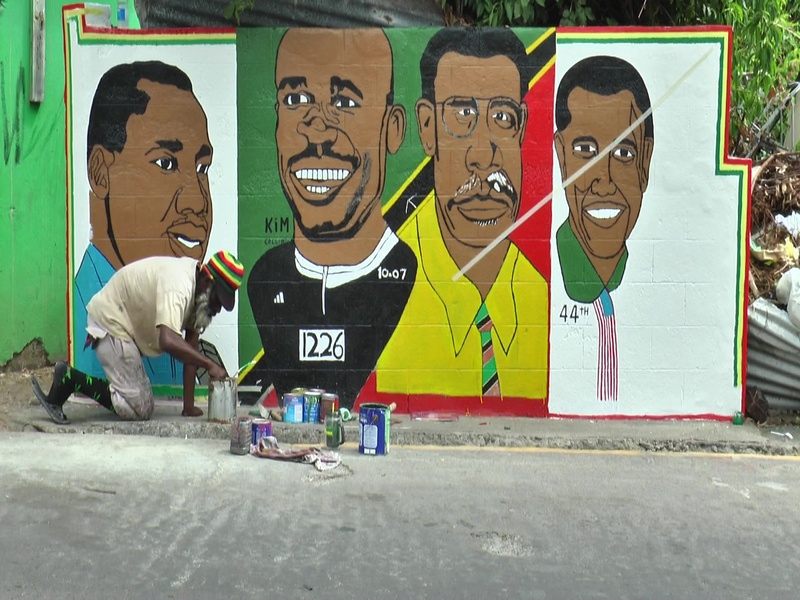 Tango said he was impressed with 2-Bal’s dedication, considering that he begins painting the structure at about 6 in the morning. 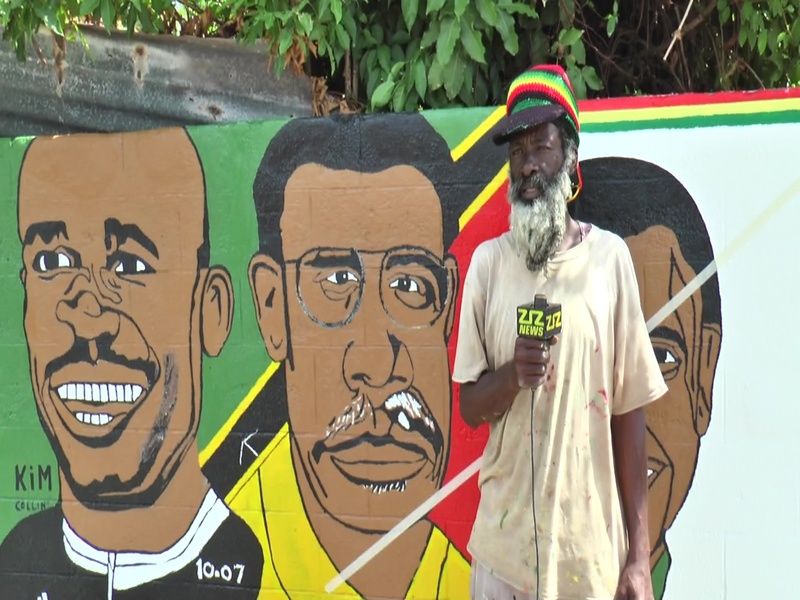 The painter was then presented with a cheque in the sum of 2 thousand dollars and several gallons of paint to help with his endeavours. 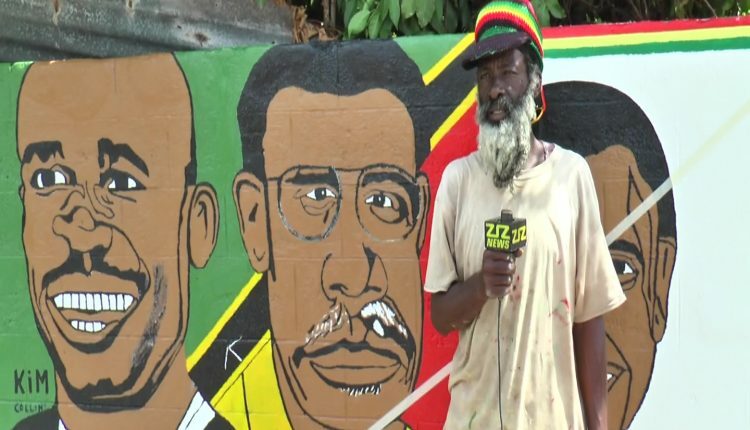 2-Bal said he was grateful for the contribution and explained that his inspiration comes from within. 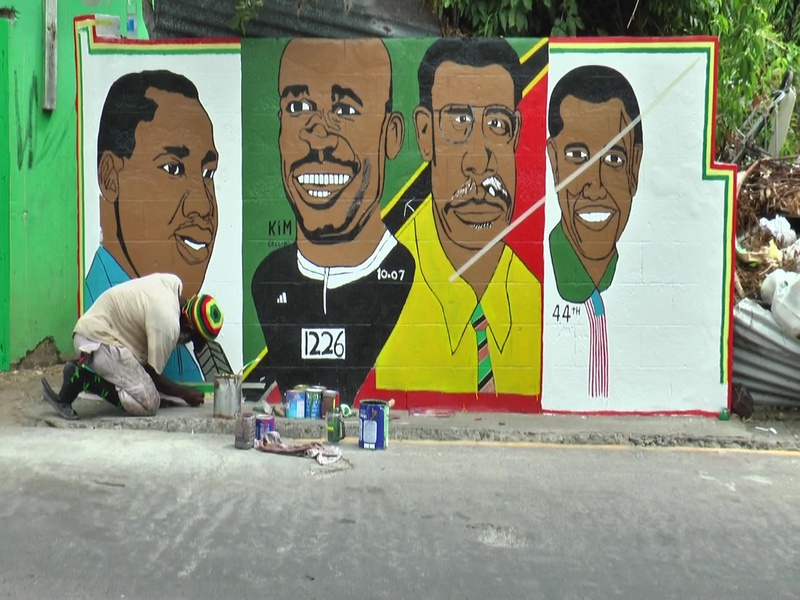 He said although he enjoys giving the area a makeover, the demand for supplies can become quite costly and added that it would mean a lot if other sponsorship was provided. 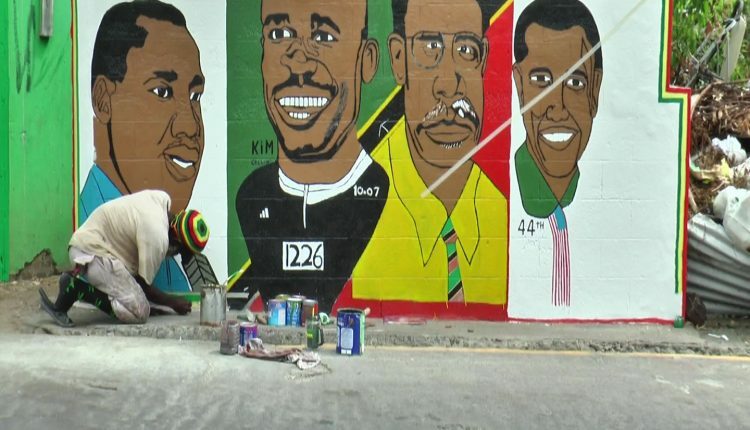 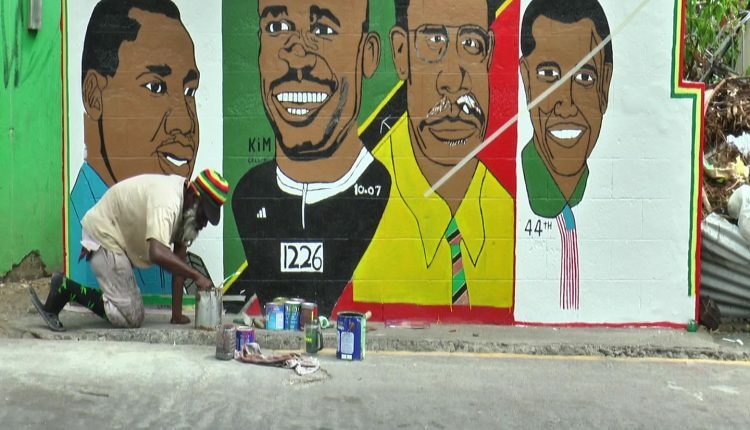 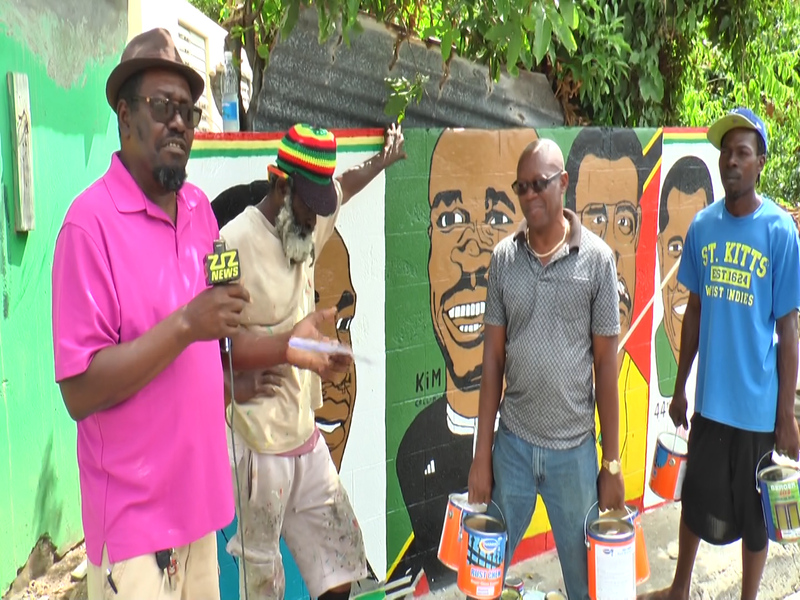 He also said that his goal is to repaint the entire wall that stretches from lower to upper West Bourne Ghaut in an effort to completely transform the area in a positive way.